Barbara's Business Philosophy: Barbara has turned her passion for real estate into a business that is conducted with integrity, competence and a high level of professionalism. She conducts her business such that her clients' interests are the guiding priority for each step of a transaction. Barbara has a gift for advising and participating in preparing a property for market to optimize its appeal. She also has found that clients' appreciate her knowledge of the intricacies of buying or selling real estate. She guides and manages each step of the transaction with extreme attention to detail, a high level of personal attention, care and constant communication throughout the process. Barbara is committed to assure that she is personally involved with all aspects of any real estate transaction. Personal Background: Barbara grew up in Southern California and graduated from San Diego State University in 1978 with a Bachelor of Science Degree in Business Marketing. She worked for eight years as a sales representative for business computer companies such as Lanier Word Processing Systems and Digital Equipment Corporation (DEC). She earned many awards for top selling volume including "top salesperson of the country” for Victor Business Systems. Many years ago she turned her skills to the real estate business. Her ability has been proven with a long list of successful sales, purchases, awards and satisfied clients. Barbara is a full time active agent with Coldwell Banker International and REBA of La Jolla. 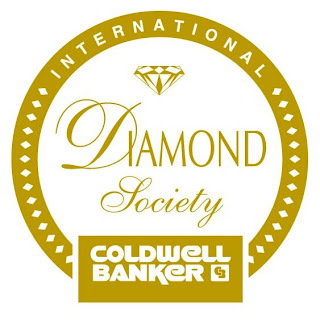 She earned the Global Luxury Property Specialist as being included among the top 3% of the Coldwell Banker realtors nationwide and has also been awarded the International Sterling Society Award in 2014 and the Diamond Society Award in 2015. One key area of focus is her serving the specific needs of seniors. In addition, she is a specialist in properties that involve Estates and Trusts and works closely with attorneys, fiduciaries, banks and trust officers. 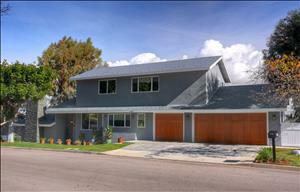 Barbara guided the construction of her home located in La Jolla Palisades. She was deeply involved in the decision making for design through finish work. The complex project required special attention for issues unique to La Jolla such as proper hill side soil engineering, view preservation and pool design and construction. She designed, managed and supervised all of the finish work with outstanding results. As a result of her involvement Barbara gained deep and invaluable knowledge about the intricacies of a home from caissons to chimney top. Barbara's 32 year marriage to husband, Mark, a CPA in La Jolla, has resulted in a fulfilling family life. Barbara and Mark are blessed with Erick and Tina, their two adult and motivated grown children. Community Involvement: Barbara formed a Home Owner's Association in the La Jolla Alta North area and is currently a board member of the Home Owner's Association serving the La Jolla Palisades Unit #4. She was the first lady of the La Jolla Rotary Club in 2011 and remains involved in Rotary activities. Barbara is also the membership chair for the San Diego Estate and Trust Council Group. Conclusion: Barbara Leinenweber is uniquely situated to help her clients optimize the results of any real estate transaction. Her passion, integrity, competence and experience form a complete spectrum of attributes to meet any real estate challenge.